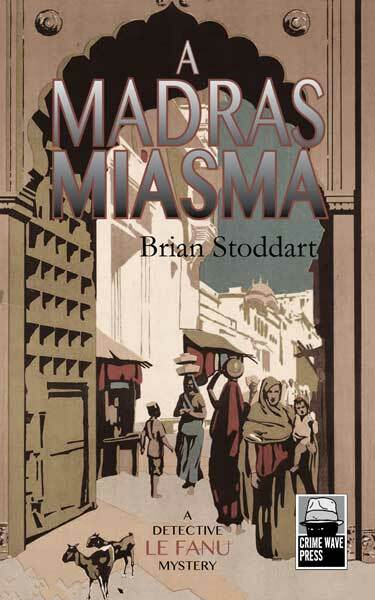 A Madras Miasma, written by Brian Stoddart and published by my crime fiction imprint Crime Wave Press, makes the Top 10 crime debuts of 2014 @ Crime Fiction Lover (UK). The author is a distinguished academic in Australia, and has written many non-fiction books, but this is his debut as a novelist. We are in post WWI Madras, and former soldier, now policeman, Christian Le Fanu, has to investigate the death of an English woman, found in one of the city’s stinking canals. He must do this against a background of mounting unrest in the civilian population, and dissenting factions within the British colonial administration. As well as being a compelling detective story, the novel unforgettably evokes the sounds and smells of 1920s India.